Oral health specialist is in charge of intercepting dental disease on its tracks. Some of the most common dental diseases such as dental caries can be prevented. Dental caries ranks on the top of the list for damaging the tooth structure. One of the best ways to successfully manage dental caries lies in your ability to take care of your teeth and a balanced diet. Using fluoride ranks among the best therapeutic care to prevent caries. Fluoride sealants such as fluoride varnish fight caries in different ways. The U.S. Food and Drug Administration gives fluoride varnish the go signal for its effectiveness in treating dentinal hypersensitivity. Fluoride varnish has a sticky resin that clings firmly to tooth surfaces. This is the primary reason why fluoride varnish is effective in preventing dental caries in the first place. Dental caries is a chronic disease that affects a compelling number of the world population. This number includes school-age children and adults. About 60% to 90% of school children are affected by dental caries. 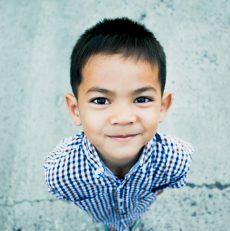 Children coming from lower socio-economic status are generally the ones affected by caries. If left untreated dental caries can develop into the destruction of the crowns of the teeth. The side effects also include severe pain and a lot of suffering. Repairing and replacing the damage teeth will take time. The process of repair is expensive which explains why this can drain financial resources by those affected by major tooth decay. Fluoride varnish is not a newcomer to the dental community since it was first developed and introduced in the 1960s as a way to prevent dental caries. The use of this varnish was highly promoted in other major countries of the world like Canada, Europe, Scandinavia and in the United States. Fluoride varnish was originally intended use for prolonging the contact between fluoride and dental enamel since varnish sticks to the tooth surface for a longer period of time. 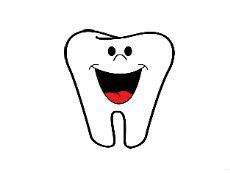 During that period when the use of fluoride varnish was still in its experimental stage it was found out that by applying fluoride to the teeth surface, this slowly releases reservoirs of fluoride. Fluoride varnish stops dental caries on its track by enhancing mineral absorption. Minerals like calcium and phosphate are incorporated into the crystal structure of the tooth enamel through the process of remineralization. These minerals strengthen the teeth by increasing its ability to resist acid attack. Fluoride ions are known for interrupting bacterial activity. 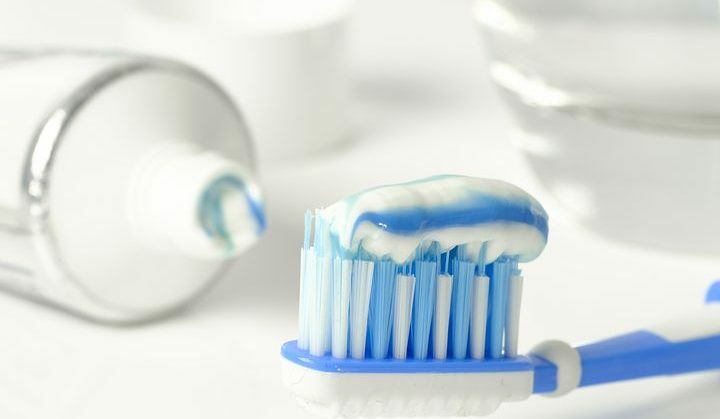 In low concentrated form, a fluoride such as those found in fluoridated drinking water containing 0.7 ppm, exists in ionic forms like those in saliva and plaque. Fluoride varnish results in calcium fluoride formation near the tooth enamel surface. A layer forms that provide an anticariogenic effect in case oral pH fails to do its job of protecting your teeth. Concentrated fluoride of the highest concentration is typically applied in dental clinics by those of the dental profession. The dentist uses about 9,000 ppm fluoride that includes fluoride varnish, gels, and foams. Patients who are at risk for caries are treated with fluoride varnish from three to six months. Thanks to its sticky consistency, there is no risk of accidentally swallowing fluoride varnish. In contrast fluoride in gel form does not guarantee that younger patients will not swallow it. Results coming from systematic reviews on fluoride varnish effectiveness was released by the Cochrane Collaboration. 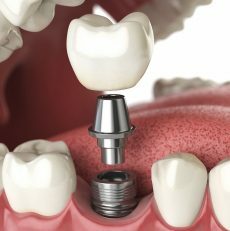 Easy application contributes to its popularity among the dental community. There is no need for special equipment or even a special chair to sit on. There is also no need for medications to lessen the pain because generally, some form of discomfort exists but, this does not require the need for medicines. This is a disease caused by taking certain medications like those taken for allergies, anxiety and high blood pressure. Even people who are under the neck and head radiation treatment can make them prone to tooth decay. For patients with dry mouth disease, the issue is about lack of saliva making it harder to digest and wash away foods that they eat. Gum disease such as periodontitis leaves the tooth and its roots under the mercy of bacteria. This increases the chances of having tooth decay. Early stages of periodontitis are referred to as gingivitis. For patients who experience having one cavity every year or even every two years, they can benefit from additional fluoride treatment. These form of dental treatment can place the teeth at risk for tooth decay. In the case of crowns, this places the teeth structure at risk. The same can be said about braces or brackets. These orthodontic appliances place the teeth at risk although the main reason is for aesthetic purposes to make the patient look better with a complete set of properly aligned teeth. Using fluoride varnish comes with its set of risk, however, the advantages of using this outweighs any setbacks. It is important to ask for parental supervision and guidance especially in cases when the dentist asks for permission to apply fluoride varnish or other similar teeth and gums therapeutic care. Excess use of fluoride varnish can cause some stains on the tooth enamel although the effect will not last long. After a few hours, the teeth will go back to its original color. To be fair, given the fact that very low levels of fluoride in dental varnish will make it difficult to get exposed to hazardous substances. Some of the reasons why fluoride varnish is better than other fluoride treatment lie in its ability to protect the teeth. Parents will feel confident that there will be no issues about accidental swallowing of the fluoride solution. Fluoride varnish is effective in its role as anticaries. This was further proven in 2014 when the United States Preventive Services Task Force or USPSTF published the result of their research studies that show how the use of fluoride varnish prevents dental caries in kids below 5 years old. This supports the recommendation of pediatricians to apply fluoride varnish to primary teeth of infants and younger kids starting from the moment when their first teeth appeared. Simply put, dentists are trained to carry out fluoride varnish therapy for dental caries prevention in their clinics while those who are not dentist like pediatricians are granted the clinical privilege of using fluoride varnish for their younger patients. This is a collaboration that has managed to save the teeth of kids 5 and below. For children who are given fluoride varnish during the appearance of their very first teeth, the use of this varnish has saved their teeth and keep it healthy even when they grow older.